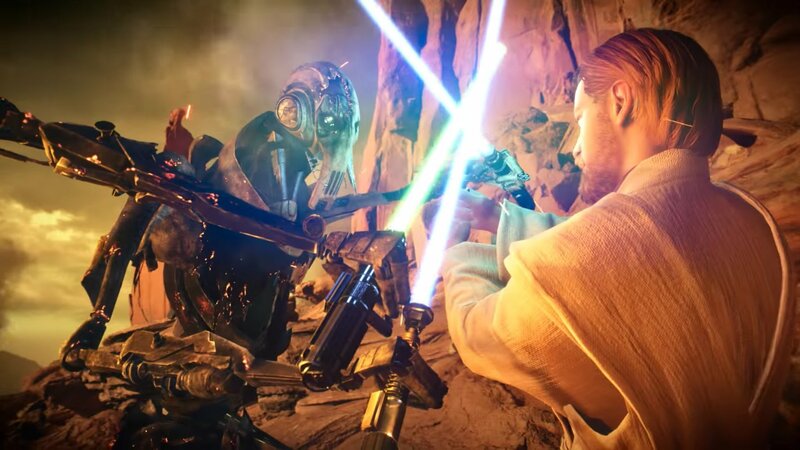 DICE is expecting an influx of Star Wars Battlefront II players at the end of the month, and for good reason: the jovial Jedi Master Obi-Wan Kenobi finally enters the game on November 28, 2018. For all its ups and downs, the studio sure knows how to put together a compelling trailer. More than just another hero, the main draw will be a critical new map, Geonosis. "It should rather feel like you're being part of the largest battle yet, and you're in it together with your team members on the frontlines," said level designer Peter Vesti Frendrup. "That's been the number one focus for us." Like last month's villain General Grievous, Obi-Wan and Geonosis will arrive as a free update.